Beard and scrub the mussels. In a large Dutch oven, combine the butter, wine, shallots, garlic, bouquet garni and pepper; cover and simmer for 5 minutes. Add the mussels and cream, cover the pot tightly and cook over high heat, shaking the pot once or twice until the mussels open (about 5 minutes). Do not salt the mussels; they are naturally salty. Discard any unopened mussels and the bouquet garni. 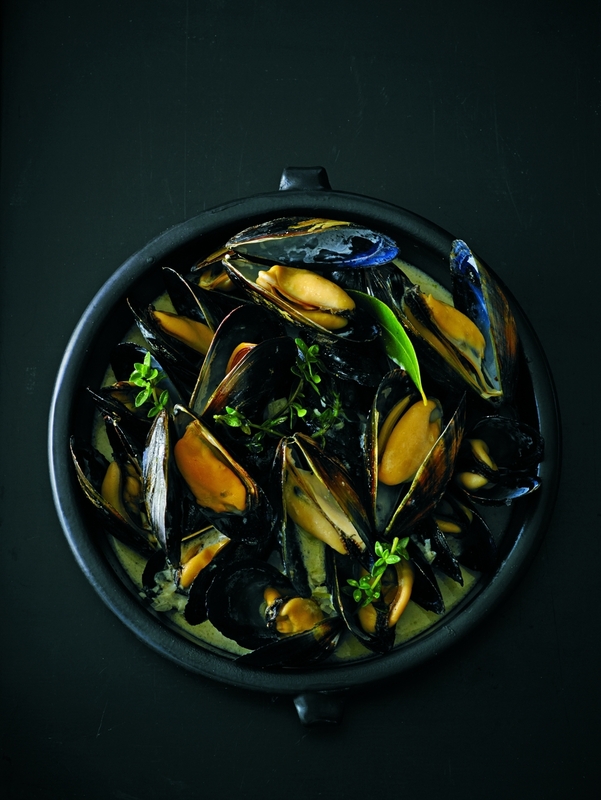 Divide the mussels and broth into warm serving bowls and serve with a basket of crusty French baguette. * To prepare bouquet garni, tie two sprigs each of thyme, parsley and tarragon, along with 2 bay leaves, with twine. Or, wrap in cheesecloth. Note from Chef Jacques Boiroux: Penn Cove mussels from nearby Whidbey Island are my preference.